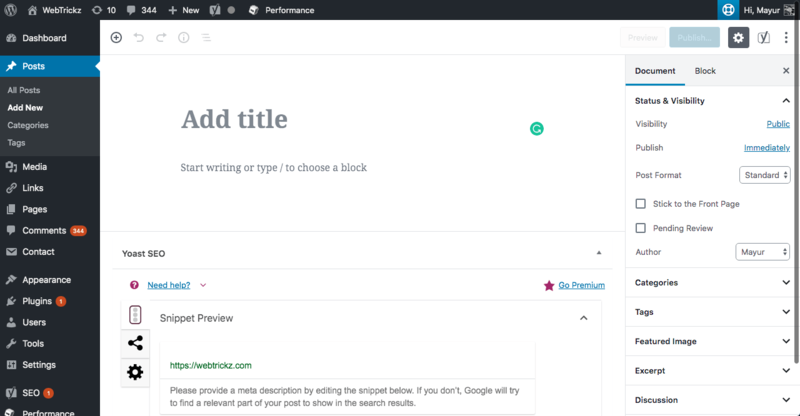 Those who have recently upgraded to WordPress 5.1.1 might have noticed a brand new editor. 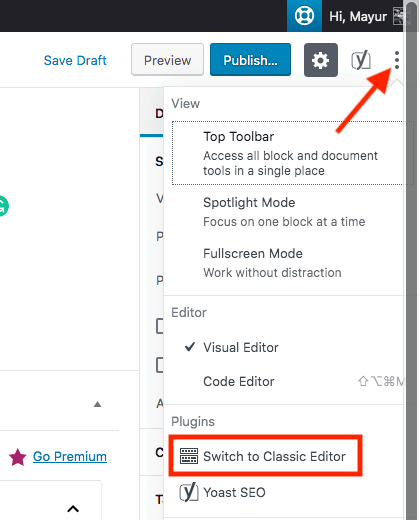 The new block editor introduced with WordPress 5.0 replaces the good old classic editor. The new block editor (also known as Gutenberg editor) is a block-based editor with a completely new and modern interface. I personally found the block aka Gutenberg editor complex to use and would anytime prefer the classic editor over it. 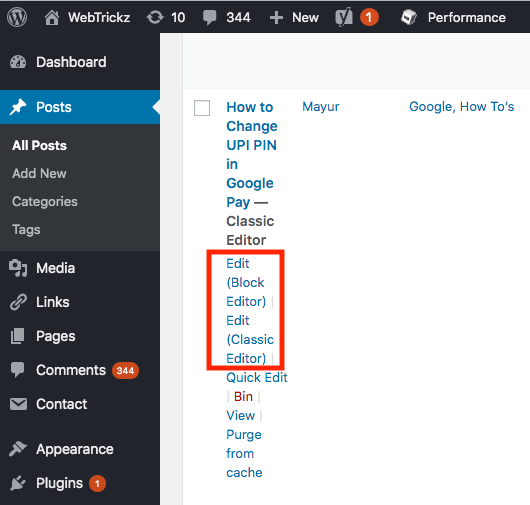 Thankfully, it is possible to revert to the old editor in WordPress without much trouble. In this article, we will guide you on how to disable the block editor and get back the previous classic editor. The ability to revert is officially provided by WordPress so that interested publishers can switch to the familiar classic editor. You, however, need to install a plugin to get it working because the block editor is now the default editor. To do so, follow the steps below. Go to Plugins > Add New and look for the “Classic Editor” plugin. This plugin is developed and maintained by the core WordPress contributors. Simply install the plugin and activate it. That’s it! Upon activation, the new block editor will be automatically disabled. Now clicking “Add New” under the Posts section will open up the classic editor. Moreover, you will be able to edit your older posts using the classic editor as well as block editor. Simply choose either of the two options while editing posts through Posts > All Posts page. The Classic Editor plugin also provides an option to easily switch between old classic editor and new block editor. To switch between the two editors, go to Settings > Writing and select your preferred choice under the “Default editor for all users” option. Then click on the Save Changes button at the bottom. Additionally, there is an option to allow users to switch editors on the same page. At the same time, if you want to create a new post using block editor while having classic editor enabled or vice-versa then that’s possible too. 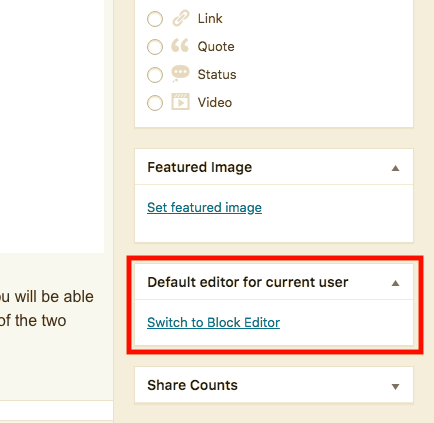 To do so, add a new post from Posts section and click on the “Switch to Block Editor” option shown in the right sidebar under the heading “Default editor for current user”. Similarly, you can switch to the classic editor while drafting a post in block editor. To do so, click on the more tools and options button (3 dots) in the top right and select “Switch to Classic editor” under Plugins. 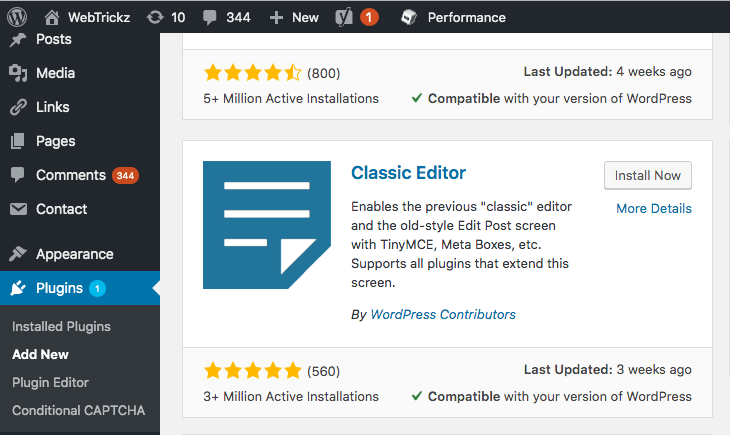 According to the WordPress team, the support for Classic Editor plugin will continue through 2021. In the meantime, it would be good to take your time and get accustomed to the Gutenberg editor.